Professor Phillips' research interests lie in four main areas. First, he has become increasingly engaged in a program of research looking at a range of different but related issues in entrepreneurship. From a more practical perspective, he is interested in how to scale up new, high-growth ventures and in how scaling up social enterprises differs from scaling up more traditional companies. He is also interested in how new ventures “pivot” as this activity remains highly undertheorized. When studying entrepreneurship, Professor Phillips often uses ideas from organization theory to help him theorize and he has found this approach to be particularly fruitful. Second, Professor Phillips has been working for the last several years on various aspects of technology strategy and innovation. In particular, he is interested in the social dynamics of technology adoption and the ramifications of these dynamics for technology, strategy, and innovation. More recently he has become interested in the intersection of leadership and digital transformation and especially in how the competencies required for success as a leader change as industries and companies are digitally transformed. Third, Professor Phillips has a general interest in organization theory. Much of his work in this area has focused on connecting conventional approaches to understanding institutional processes to other theoretical perspectives such as identity or to new empirical areas of study such as stigma. Much of his work currently focuses on understanding how institutions change and the implications of institutional change for organizations. He is also interested in various forms of “social symbolic work” such as identity work, institutional work, and other related research streams. Finally, Professor Phillips has a strong interest in qualitative research methods and he has published a number of papers, books, and book chapters on various topics in this area. In particular, he is interested in the application of discourse analysis, narrative analysis and other related linguistic methods in the study of organizations. Professor Phillips has published more than 100 academic articles and book chapters including articles in the Academy of Management Journal, Academy of Management Review, Management Science, Sloan Management Review, Organization Science, Journal of Management Studies, Strategic Organization, Organizational Research Methods and Organization Studies. He has also written four books: one with Cynthia Hardy (University of Melbourne) entitled Discourse Analysis published in 2002; a second, Power in Organisations, with Stewart Clegg (University of Technology Sydney) and David Courpasson (EM-Lyon) for the Sage Fundamentals of Organization Science series in 2006; a third, Technology and Organization, with Dorothy Griffiths and Graham Sewell (University of Melbourne) that was published in 2010; and the Oxford Handbook of Innovation Management co-authored with David Gann (Imperial College) and Mark Dodgson (U of Queensland) published in 2014. He is currently working on a book on the use of linguistic research methods in management that will be published in 2019. 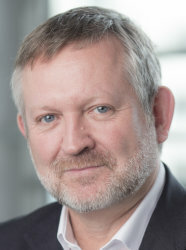 Prior to joining Imperial, Professor Phillips was the Beckwith Professor of Management Studies at the Judge Business School, University of Cambridge from 2002 to 2005 and an Associate Professor in the Strategy and Organisation Area at McGill University in Montreal, Canada from 1993 to 2002. While on sabbatical in 2000/2001, Professor Phillips spent six months as the Edward Clarence Dyason Universitas 21 Fellow at Melbourne University in Melbourne, Australia and six months as a Visiting Professor at Bocconi University in Milan, Italy. Professor Phillips completed his PhD in Organisational Analysis from the University of Alberta, Canada in 1995. Professor Phillips is currently the Editor-in-Chief of Innovation: Organization & Management and the Editor of the Cambridge Elements Series in Organizational Theory. He is also on the editorial board of the Academy of Management Journal and is the Past Division Chair of the OMT Division of the Academy of Management. Professor Phillips teaches courses in strategy, organisation behaviour, innovation, and leadership at the undergraduate and graduate level. In addition, he is active in executive education where he has been involved in program design and delivery for a wide range of clients including Allen & Overy, the Royal Society, Telefonica, BT, Atkins, Shell and Arup.